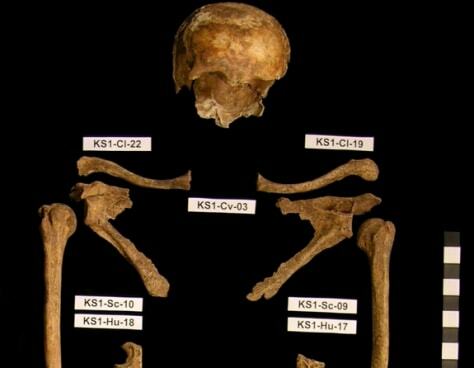 The remains of one man found in a mass grave in Kassel, Germany. The 18 individuals Anna Zipp of Gottingen University and her colleagues studied were all male, and are believed to have been soldiers in the Napoleonic Wars. Genetic analysis found evidence of the bacterium that causes trench fever in three of the men.